Gift Voucher Stationery and Customer Loyalty Schemes. Real Rewards provide Gift Voucher Stationery, Customer Loyalty Scheme’s and Marketing Tools to a wide range of Customer’s throughout the UK. We specialise in creating products designed to support our Customer’s to grow and retain their own Customer base. Our Customer’s believe that selling Gift Vouchers enable them to offer more choice, create more opportunities for return visits. AND invites NEW customers to visit THEIR Business. The Gift Voucher Stationery we design and provide can only be redeemed at the Retail Outlet that they have been purchased from. We make Purchasing Gift Voucher Stationery easy. You tell us what you want. And we do the rest. We offer an in-house design service, which can include sequential numbering and barcodes. Real Rewards Ltd provide a range of Customer Loyalty Schemes and Marketing Tools for Small to Medium Businesses. We specialise in creating tools and products designed to support business growth. Our approach concentrates on improving your customer retention and growing your customer base. All of our tools and products are flexible and very cost effective. 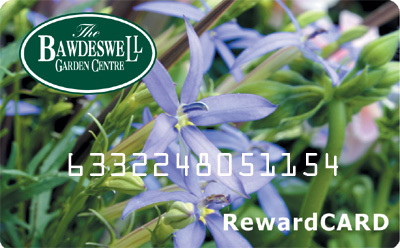 Reward Card is our Customer Loyalty Scheme which is tailored to suit individual business needs, it is a completely outsourced Scheme. You focus on signing up the Customer’s and we do the rest!. Stamp & Save Kits these enable any business to implement a simple but highly effective Stamp And Save Loyalty scheme. Direct Marketing enables businesses to get their message across directly to existing and potential new customers. Either by Post OR directly onto their Device. It is a perfect tool for Promotions, ‘Last Minute Sales’ and offers.